"For the love of DANCE!" Irish Dancer Ornament! 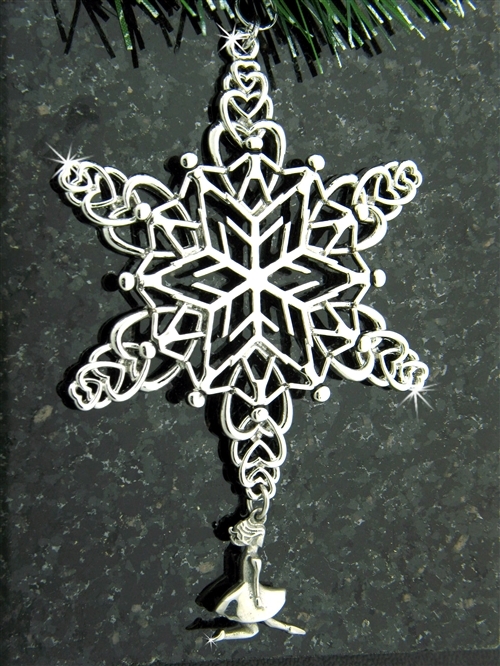 A snowflake of people holding hands- connected and representing the teams, friends and family that goes into dancing. 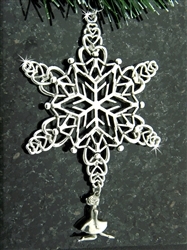 Then, beautiful hearts in Celtic knots- Just the perfect ornament for your dancer." Our 316 L Stainless Steel, also known as Surgical Steel, will not rust or tarnish, can be easily wiped clean of fingerprints or smudges and scratches can be buffed out.